Here we outline all the major Chinese universities across all Chinese provinces that are in the top 500 Universities in the world. China has rapidly become a major provider of world class studying opportunities, attracting many overseas students - particularly in S.E. Asia. In 2016 397,635 international students are studying in China. Every year that the International rankings are published the universities in China go up a few places. Two thousand years of the traditional examinations were abandoned in 1912 when the Republic of China was founded. In the Imperial system the Hanlin Academy was the top academic instituion for 1,100 years. The accurate memorization of huge amounts of classical literature had had a stultifying effect on Chinese scholarship. Many of China's main universities have their roots in institutions set up by foreign missionary societies offering Chinese people new fields of knowledge for the first time. Other institutions have grown from technical colleges that fueled China's need for engineering in the 1970s. 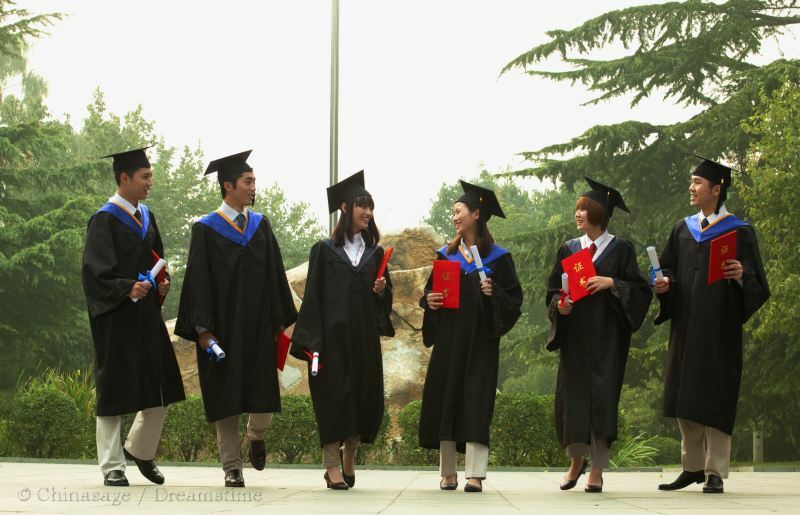 Since the turn of the millennium China has reformed the university sector to the Western model. The proportion receiving tertiary education has risen from 1.4% in 1978 to over 30% now and there are over 2,000 accredited institutions. China's high population translates this into 7 million new graduates each year. The top 100 universities are being developed under the government's project 211 while the top 39 are groomed for top International status in project 985 ➚. There remain concerns that too much emphasis is placed on learning facts rather than creative thinking. The Bachelor's degree is normally four years of full-time study which include four areas: basic compulsory topics (Computer technology, English, Chinese, Mathematics, Politics, Physical Education); elective general topics; field of study compulsory topics; field of study elective topics. In this way a degree is more generalized than in the Western model. The Master's degree (硕士学位 Shuò shì xué wèi) is typically three full-time years for ‘academic’ subjects and two years for ‘vocational’ subjects. Admission to university in China is based on the Annual College Entrance Examination (gaokao 高考) but recommendation from a school carries some weight. Priority to the poorer provinces is also given. The majority of universities in China are state funding and are subject to some government control. The cost for Chinese students are kept quite low; grants; loans and part-time work are used to fund study. The government also provides some funding for grants for students to study in China from abroad. In general studying at a Chinese university is geared to accumulating facts and skills ; lecturers are rarely challenged by students and generally treated with more respect than in the West. Studying at university is seen as a privilege rather than a right. You can click on the column headers to sort the universities by name, ranking, location or student numbers. We give figures on the number of undergraduate and postgraduate as well as international students which is a rough figure of all the ‘non-local’ students studying at the University. The Ranking shown is the ranking according to QS (Quacquarelli Symonds Limited ➚) who monitor all the world's top universities. We use this to show the relative position compared to all other universities. The Map link displays a detailed Google map of the location of the Chinese university. The Info link takes you to the university's own web site, in nearly all cases this is the English language web site. Quite a lot of teaching is done in English, especially in Hong Kong; and if not the Universities usually offer a crash course in Mandarin. 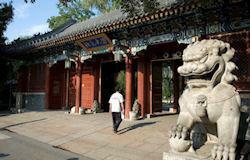 An entrance to the Peking University. June 2008. Image by galaygobi ➚ available under a Creative Commons license ➚. The first established University in China has remained a leading University since its foundation in 1898. It used to be located just East of the Forbidden City, but is now near Kunming Lake.There are 30 colleges in 12 faculties. The students have often initiated national campaigns such as the big poster campaign in 1966 and the Tiananmen Square student protest of 1989. 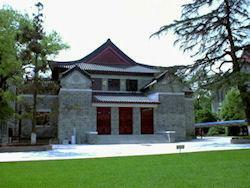 Tsinghua University is a well regarded university in mainland China. 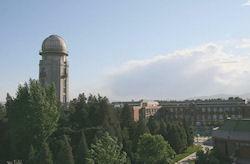 The Tsinghua Observatory is shown. July 2008. Image by Financialtimeseditor ➚ available under a Creative Commons license ➚. 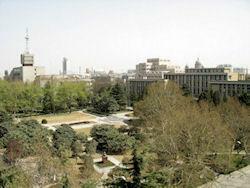 Tsinghua (Wade Giles spelling) or Qinghua rivals its near neighbour Peking University as the leading Chinese University. It was initially set up to prepare students for study abroad and has retained a strong international flavor. It specializes in science and technology. 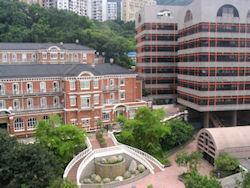 The University of Hong Kong (Eliot Hall & Meng Wah Complex). Image by Baycrest ➚ available under a Creative Commons license ➚. After the rapid development of Hong Kong, the original College of Medicine (where Sun Yatsen was the most famous student) became a University in 1911 and has been the highest ranked Chinese University for some years. It is highly regarded in a number of disciplines including law and medicine. A view of part of the Chinese University campus. December 2013. Image by Citobun ➚ available under a Creative Commons license ➚. Despite the use of 'Chinese' in its name, English is the main teaching language at this well regarded Hong Kong University just 50 years old. It has a high international reputation in mathematics; science; medicine as well as the arts and humanities. Zibinyuan Building at Handan Campus. Image by Roalood available under a Creative Commons license ➚. Currently the highest ranked University outside Beijing and Hong Kong, Fudan is an old institution covering a wide range of subjects. SJTU ME buildings. June 2006. Image by hulalala available under a Creative Commons license ➚. 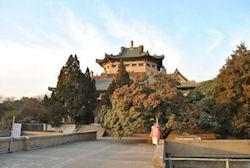 The University is one of the oldest academic institutions in China. Its early reputation was for producing high caliber engineers and scientists but now covers all major disciplines. It is also known by the acronym SJTU or Jiao Da. Hong Kong City University Run Run Shaw Library Interior. April 2010. Image by WiNG ➚ available under a Creative Commons license ➚. Hong Kong has more than its fair share of prestigious universities and the City University is among the top six academic institutions in the territory. It became a full University in 1994 and teaches all the main subjects to a high level. It ranks high in languages and linguistics. Like other Hong Kong universities it teaches principally in English. School of Architecture. September 2007. Image by Constantboat available under a Creative Commons license ➚. 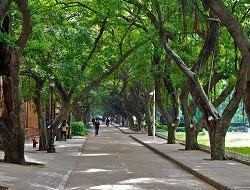 Situated in the former capital of Hangzhou, Zhejiang University often shortened to Zheda is one of China's oldest and largest Universities. It was dubbed the 'Cambridge of the East' by Joseph Needham. The courses cover a wide range of topics. Nanjing University auditorium. November 2007. Image available under a Creative Commons license ➚. The top university at Nanjing is one of the oldest in China. 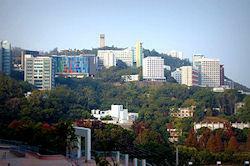 It is split into two campuses one near the city center and the other to the northeast. It covers all disciplines with high attainment in the sciences as well the arts. Image by Kelinli available under a Creative Commons license ➚. The Beijing Normal University is also known as Bei-shi-da; the term 'normal' refers to its early role in teacher training and education remains a focus. 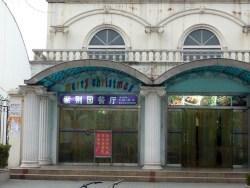 It became well known for teaching mandarin to international students. The University now has a broad coverage of all the main disciplines. Zhou Enlai statue at Nankai University, Tianjin, China. September 2010. Image by 刻意 ➚ available under a Creative Commons license ➚. Nankai University, Tianjin started off as a small, private school. The use of a modern syllabus and English made it popular and it soon expanded to become a University. Zhou Enlai is the most famous alumnus from its early days. The University is strong in the fields of economics, mathematics and history. XJTU Student Recreation Center. August 2011. Image by Jucember ➚ available under a Creative Commons license ➚. 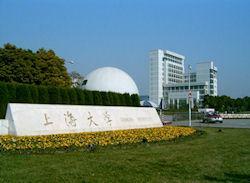 The leading university at Xi'an and surrounding provinces is Xi'an Jiao Tong University (XJTU). It was set up to concentrate on engineering and technology in 1896, at Shanghai and in 1956 was split into two: the Shanghai Jiao Tong and the Xian Jiao Tong Universities. The university has expanded from its original subject base to provide teaching in a full range of subjects. The old main building of BUAA. August 2007. Image by brianchenming ➚ available under a Creative Commons license ➚. Beihang University was previously known as Beijing University of Aeronautics and Astronautics (BUAA), and so has a strong engineering heritage but has widened its subject focus to all fields. The old library of Wuhan University. January 2012. Image by Howchou ➚ available under a Creative Commons license ➚. 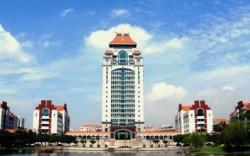 The leading university in Hubei province is Wuhan University. It has roots as an institution dating back to 1893 before becoming a University in 1928. It covers most subjects in the arts and sciences. Gate of SHU in 2006. Image by Yulin Peng available under a Creative Commons license ➚. One of several Universities located in Shanghai, Shanghai University was founded in 1922 but then re-constituted in 1994 with parts of other institutions. It has a large undergraduate intake and covers all the main academic subjects. Diakiw, personal photo. February 2007. Image available under a Creative Commons license ➚. Officially known as Renmin University of China it is also known as the People's University of China, and from the shortened Chinese name as 'Renda'. Its top subjects are in the humanities and social sciences which is consistent with its name. It is situated close to the center of Beijing and boasts the famous English Corner ➚ where anyone can help improve their English. 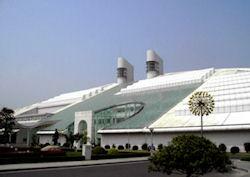 Tongji northern main building, my own work, taken in 2006. Image available under a Creative Commons license ➚. The third of Shanghai's great universities, Tongji, was founded over a hundred years ago by the German government. It has a high reputation in engineering and architecture and retains a specialism in the German language. 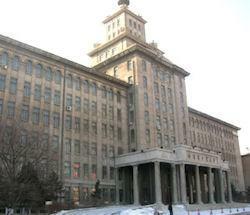 Harbin Institute of Technology - Main Building. March 2009. Image by Yoshi Canopus available under a Creative Commons license ➚. The Harbin Institute of Technology is the leading university in northeastern China. 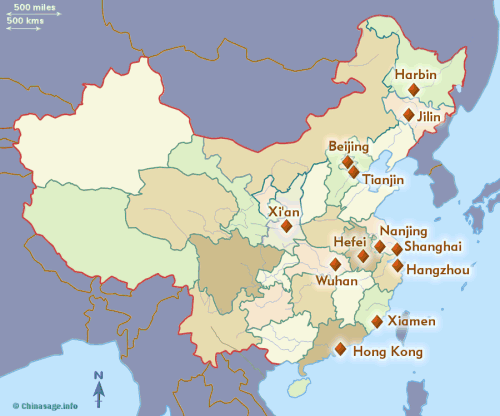 It is actually split over three campuses spread over three provinces: Weihai in Shandong; Shenzhen in Guangdong and Harbin in Heilongjiang. It concentrates on space technology; military technology and general engineering. The Harbin campus has some hints to its history of Russian influence. 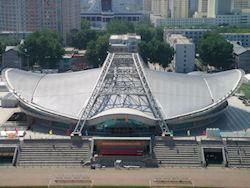 Stadium of the Beijing Institute of Technology, a venue of the 2008 Summer Olympics. May 2008. Image by Flora ➚ available under a Creative Commons license ➚. 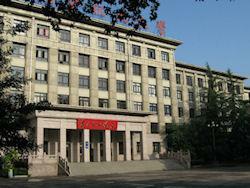 Beijing Institute of Technology is ranked the sixth University within Beijing and in the top twenty in China. It specializes in science and technology. 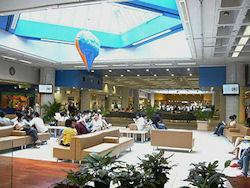 The campus is located near Zhongguancun ➚ dubbed the Silicon Valley of China. 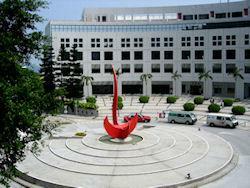 HKUST Sundial. September 2005. Image by Memes ➚ available under a Creative Commons license ➚. 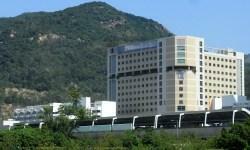 The Hong Kong University of Science and Technology often abbreviated as HKUST was founded less than 35 years ago; it specializes in science, engineering, business and technology and has rapidly achieved a high International ranking. Teaching Building II, Library, etc... February 2007. Image by Minbaili ➚ available under a Creative Commons license ➚. The University at Hefei was founded by the Chinese Academy of Sciences under the leadership of Guo Moruo ➚ to promote research into science and technology. 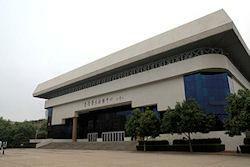 Since its foundation in 1958 it has broadened its scope and is one of the top Universities in China. Sun Yatsen founded this University back in 1924 shortly before his death. Guangzhou was his power base in southern China. 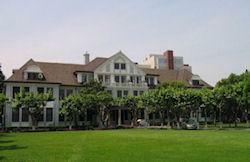 With Sun Yatsen's qualification in medicine it is no surprise that it has a strong medical research center. It also has high achieving faculties in business; humanities; politics and computing. This old Hong Kong institution became a University in 1994. 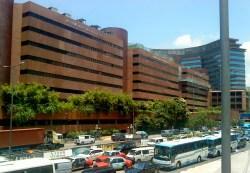 It is now the third ranked university in Hong Kong with a high international reputation. It concentrates on business, design, engineering rather than science. Originally founded as an American Baptist College it became a university in 1994 and now has a high international ranking. It has a full range of courses and is strong in geography, computer science and mathematics. 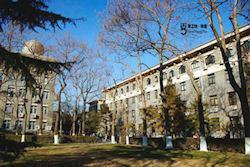 The university founded in 1921 was the first to be founded by overseas Chinese as Amoy University. It is ranked within the top 20 universities in China. Lu Xun is the most famous figure associated with the University. 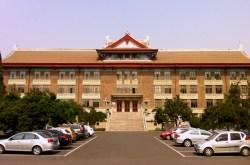 One of the oldest Universities in China and has remained a leading institution in China. It has coverage of the full range of academic subjects. 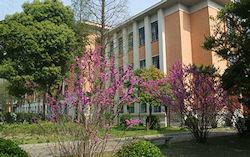 Huazhong is the main University in Hubei province and specializes on Science and Technology. In 1953 it began as an engineering institute before merging with other Wuhan institutions in 2000 to become a university. 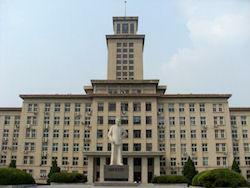 After re-organization in 1948 the Shenyang site was chosen for the North-eastern Administration College. It became Jilin University in 2000 after merging with other local higher education establishments. It covers all the main disciplines but is renowned for engineering subjects and natural sciences. Citation information for this page : Chinasage, 'Top Chinese Universities', last updated 22 Nov 2016, Web, http://www.chinasage.info/chineseuniversities.htm.